Softlogic Information Technologies, one of the premier IT companies in Sri Lanka and a pioneering subsidiary of Softlogic Holdings Group has opened a new customer care centre offering technical and support services to the government, large corporates, SMEs and the general consumer. The new customer care centre located at Nawala Road, Narahenpita will offer engineering and consultancy services to its customers by internationally trained and certified engineers. The team inherits expertise in the areas of 3Com, CISCO - (CCNA/CCDA/ CCNP,) Dell Certified Engineers, EMC, Linux, Unix,/CLP, Microsoft (MCP/MSTS/MCSE,) Molex, Certified Installers Brand-Rex, 3M, D-Link Certified Cable Installers, Novell CAN/ CNE and VMware. Softlogic Information Technologies (Pvt) Ltd Director/CEO Roshan Rasool said, “From our inception 15 years ago Softlogic Information Technologies is providing true value to its customers through professional deployment and post warranty services. We are glad that this new facility will define a new service level in the local IT industry. We believe that it is important that vendors provide ICT equipment at a reasonable price. But it is even more important to ensure that our customers have an excellent experience in owing our equipment”. A dedicated team of professionals deliver round-the-clock support islandwide at three levels, a Silver level, a Gold level and a Platinum level. 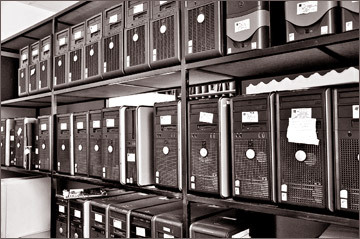 The services centre also include Business Continuity Plan (BCP) Solutions, Data Recovery (DR) Solutions, Implementation of Microsoft Solutions, implementation of Open Source Software Solutions, Local Area Network (LAN) Solutions, Server Solutions, Server Virtualization, Storage Solutions, Structured Cabling and Wide Area Network Solutions (WAN). Softlogic Information Technologies (Pvt) Ltd General Manager - Engineering Kanishka Karunaratne said, “Understanding our customers’ needs is the key to our success. We consider ourselves a visionary company that offers unique and effective approaches to all our engineering assignments. We constantly challenge ourselves to provide vigorous models which meet our customers’ expectations. This enables us to deliver cost-effective solutions and tackle challenges which are result oriented”. With the know-how and skill to deliver onsite and remote support services, the Softlogic team is equipped to plan, implement and resort to required disaster recovery services in mission critical scenarios. Softlogic Information Technologies has a widespread distribution network of retail dealers providing access to an islandwide customer reach. Virtusa Corporation, a global IT services company that offers a broad spectrum of business consulting and outsourcing services, has been honored by Project Management Institute Atlanta (PMI) as the winner of its 2011 Manufacturing Project of the Year Award. The purpose of the award is to recognize the accomplishments of a project and the involved project team for superior performance and execution of exemplary project management. The winning project was commissioned by Siemens Industry, Inc., the U.S. affiliate of Siemens’ global Industry Sector business-a leading supplier of production, transportation and building technology solutions. In May 2010, Siemens retired an outside vendor that provided an online order tracking tool for Siemens’ Building Technologies Division (BT). Instead of rebuilding or replacing the decommissioned system, Siemens contracted Virtusa to develop a solution that would consolidate the system with an order tracker already in place for Siemens’ Energy Power Distribution Division (PD). Virtusa took all the features and components of the decommissioned BT system and transferred them into the existing PD system. “Virtusa not only duplicated the features and functionalities of the decommissioned system, but also enhanced it. It was great for our customers as well because they did not experience any service interruptions and that was imperative to us,” said Siemens Application Manager, Jeff Kroeger. “The entire project went more smoothly than anyone could have imagined,” he said. In addition to successfully consolidating the two online tracking systems, Virtusa also delivered the project 25 percent under budget and saved $15,000 annually. “This project is a testament to our solid eight year working relationship with the Siemens team. We worked efficiently and achieved excellence as a result of effective communication, planning and project management,” said Senior Vice President Virtusa’s Media, Information, Technology and Entertainment Business Unit Harsha Kumar. “We are honored that PMI Atlanta has recognized the hard work, collaboration and dedication of the entire group that worked to create this project,” he said. PMI Atlanta is the largest project management member association serving the North Georgia and Metro Atlanta area. The organization represents more than 4,400 members and strives to increase recognition to the profession of project management. Submissions for PMI Atlanta’s Project of the Year awards were judged by an independent outside panel that selected a winning project from each industry group. Mother Sri Lanka Chairperson Janaki Kuruppu (right), Commercial Bank’s CSR Trust co-ordinator Priyanthi Perera (second left) and the Bank’s Badulla branch Manager A S Kumaravel (extreme left) at the new IT lab. Children at the Kosgolla Maha Vidyalaya in Badulla district were the first beneficiaries of an IT skills development project launched by the Commercial Bank of Ceylon in partnership with the Mother Sri Lanka programme of the Presidential Secretariat. The CSR Trust of the bank donated computers and related equipment to establish an IT lab at this school. Maintenance support for the lab will be provided by the Bank’s IT team. “The enthusiastic response we received from the Kosgolla Maha Vidyalaya was extremely encouraging and augurs well for this initiative,” said the Commercial Bank’s CSR Trust Co-ordinator Priyanthi Perera, disclosing that 11 more underprivileged schools have been identified for support under the Commercial Bank - Mother Sri Lanka programme partnership. In a letter of appreciation sent to the Commercial Bank, the Principal of Kosgolla Maha Vidyalaya noted that receiving a computer lab was a dream come true for the students as the school did not have even a typewriter till era of using typewriters was over. “Our students are learning computer science with a lot of interest and we are happy to inform you that this letter is being sent to you by using a computer you have donated,” the letter said. Two schools in the Anuradhapura district, a school each in the Puttalam and Kurunegala districts, two schools in the Jaffna peninsula, two schools in the Vavuniya district and three schools in the Central Province have been selected for this project. The Commercial Bank of Ceylon will fund the project while the selection of schools and co-ordination will be the responsibility of the Mother Sri Lanka programme. When selecting beneficiary schools under this scheme, consideration is given mainly to rural schools based on up to which grade they conduct classes, the number of students and the availability of teachers to handle the subject of IT, Perera said. The Commercial Bank contributes up to one percent of its post tax profits every year towards its CSR Trust. The Bank has planned many projects for 2011 to enhance the IT skills of schoolchildren in rural areas to help them in everything they do in the future, from higher education to employment. Among the other principal initiatives of the Commercial Bank’s CSR Trust are the grant of annual scholarships to undergraduates, conducting of programmes to upgrade English education, assisting children’s homes and internally displaced people as well as people living in flood affected areas. Five young advertising professionals have been selected to represent Sri Lanka at the highly acclaimed Cannes Lions International Festival of Creativity and at the Roger Hatchuel Academy. The announcement of the winners was made at a media briefing. The Cannes Young Lions programme is open to advertising professionals who are 28 years and working in advertising and communications businesses. The participating teams are selected through a pre-selection process in their country, with the winners attending the Cannes Lions festival in France to participate at the Young Lions Competition, where they compete against teams from all over the world. The Young Lions competitions take place during the Cannes Lions festival week at the Palais des festivals. Each competing team is briefed by a client to create and execute a campaign within 24 hours (within 48 hours for Film). After which the relevant global jury will judge the work and select Gold winners from around the world. The preliminary competition of the Young Lions competition organized by Metal Factor in association with the IAA and the Association of Accredited Advertising Agencies (4A’s) saw 40 young professionals from a cross section of agencies, competing in the Young Lions categories of print and TV. The Young Lions competition unveils the very best of young talent from among Sri Lanka’s advertising professionals and ultimately provides the winning teams the opportunity to attend a global gathering of industry giants at the Cannes Lions Festival of creativity. This year the TV category was won by Gayan Perera and Sandun Kankanamge of JWT and the print category was won by Chanuka Wijayasinghe and Ruani Wijenaike of Triad. The place to attend the Roger Hatchuel Academy (a programme conducted alongside the festival) was won by Academy of Design (AOD) student Dihan de Silva who will join the rest of the winners from across the world for a series of masterclasses at the Cannes Lions Festival. Chandu Rajapreyar of Leo Burnett Solutions and Dilshad Ahamad of Grant McCann Erickson were the respective mentors for the winning teams while Delon de Silva directed the winning commercial. 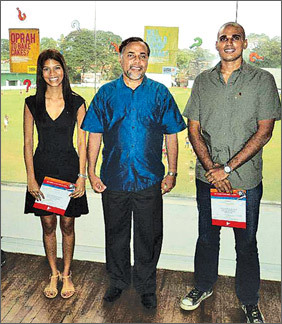 Associated Newspapers of Ceylon Limited (ANCL) under the Daily News were the sponsors of the Young Lions print competition and challenged the competitors to promote their newspaper. Unilever with Signal also extended their support to this globally acclaimed competition by being a sponsor and presented a brief which called on the competitors to produce an effective TV commercial for Signal Whitening. The TV commercial production was supported by Samsung Electronics who provided the competing teams with a Samsung mobile phone to film their TV commercials. The judges of the Young Lions competition were, Chandani Rajaratnam of JWT, David Blacker of Phoenix Ogilvy, Russel Miranda of Grant McCann Erickson and Firzan Mulafer of Leo Burnett, who chaired the jury. Sun FM extended their support to the competition by sponsoring the programme for the selection of the student to attend the Roger Hatchuel Academy in Cannes. The Roger Hatchuel Academy student was selected by a panel comprising Keith Wijesuriya of BBDO, Sharon Jayasundera of Bates, Laila Gunasekera Martenstyn of Grant McCann Erickson and Irfan Ahmed of JWT and this jury was chaired by Chalaka Gajabahu of Lowe LDB. The juries concluded that `The talent amongst Sri Lanka’s young advertising professionals is becoming increasingly evident. This year’s Young Lions competition brought together teams from a variety of Advertising agencies in the country. 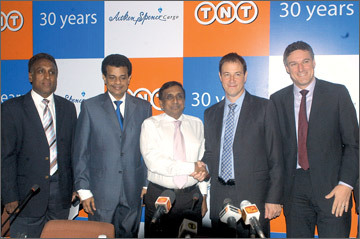 TNT Express, the leading global business to business express delivery company, is celebrating prosperous 30 years of reliable services in Sri Lanka. TNT Express is represented in Sri Lanka by Ace International Express (Pvt) Ltd, the Express delivery arm of the prestigious Aitken Spence Group. Over the past three decades, TNT Express in Sri Lanka witnessed many positive changes and developmental milestones that have put the company at the forefront of delivering service excellence. The express delivery provider has evolved from offering a limited express delivery service to a thriving business with international scope, offering a comprehensive product line. The company became the first courier company to achieve the ISO Certification status in 1997, and the only express delivery company that was granted the National Quality Award in 2004. From small beginnings in 1981 as another department within Aitken Spence Cargo (known at the time as Ace Cargo) manned by three people, today the workforce has over 150 dedicated employees deployed in over 25 offices island-wide, and a fleet of over 50 vehicles. Aitken Spence Cargo was the first company to provide freight-forwarding services in Sri Lanka in the seventies. The strong relationship between TNT Express and Aitken Spence Cargo is built on a foundation of transparency, integrity and a strong commitment to service quality. By having TNT Express under its wing, Aitken Spence has attained the competitive edge it needs when providing customers with logistics solutions over an array of services. 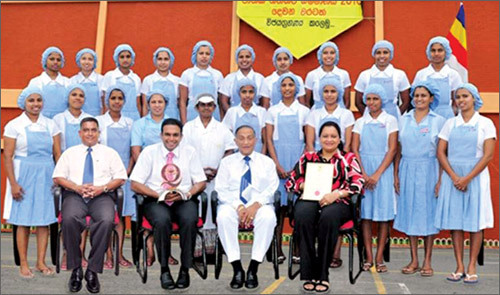 Maliban Biscuit Manufactories (Pvt) Ltd recently held an event at House of Maliban premises at Ratmalana to recognize the value and appreciate the services of their staff. This was a show of gratitude by the management towards the employees for their continued commitment and dedication, one of the many factors that enabled the company to win the National Quality Award. The employees were given the opportunity to socialize, relax and enjoy the lineup of entertainment that was organized on their behalf. The programme for the day consisted of several speeches, including a speech by Maliban Group Chairman A. G. R. Samaraweera, cultural events to entertain the employees and the launch of a Maliban Song, which was composed recently. Performances during the day were by the Police Cultural Group, students of the Colombo University Aesthetics Faculty renowned local musician, Victor Rathnayake and his sons Jayantha and Dilum Rathnayake. Incidentally, the Maliban song, which was sung at the event, was composed by Geethanath Kudaligama and performed by Victor Rathnayake. The event also saw employees being presented with tokens of appreciation by the Maliban Chairman. About 1,525 employees attended the occasion. Among them was A. K. C Ranaweera, who said that the management of the company has always extended the highest level of support to the employees by providing them with the knowledge required to carry out their duties methodically. She said that she was touched by the event that had been organized especially for them and wanted to thank the Maliban Chairman for extending his assistance at every possible occasion. K. H. Jagath said that there is a link between the Maliban Chairman and every employee, which is the secret of the company’s success. He stressed that it is the employees’ love for their work that has sustained the company and as a result Maliban was able to win the National Quality Award. Human resources play a vital role in achieving corporate objectives. Therefore it is a major responsibility and a requirement to ensure the wellbeing of employees in the organization. With Maliban Biscuit Manufactories (Pvt) Ltd receiving the National Quality Award for the second time the focus falls upon employees who have contributed towards this accomplishment. “There are 1525 employees from different categories who contributed towards attaining the National Quality Award and at the outset I take this opportunity to express my pleasure and heartfelt thanks for their commitment and cooperation,” said Maliban HR/Admin Group General Manager Bandula Perera. He said, “I am very much delighted to announce that the employees’ contribution towards achieving the National Quality Award has been recognized by the Chairman and the Board of Directors”. 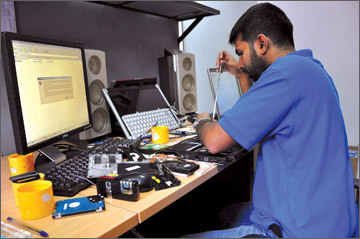 Maliban’s employee base includes staff members, who are well experienced in their field of work, as well as newcomers. The company believes the wealth of experienced employees provides the motivation for the new employees to perform their duties at the required standards and contribute towards the progress of Maliban. Maliban is known to be synonymous with quality and the company considers “Quality as it’s religion” and this has been communicated to each and every member of the company who has contributed to maintaining the standard of work. The employees are the driving force of the company. Therefore, managing and developing human resources is a vital aspect of Maliban. With that focus the company’s human resources department frequently directs the employees to improve their knowledge and skills. Thus, the Chairman and the Board of Directors of Maliban duly recognize the employees’ contribution towards the company’s growth and believe that the National Quality Award was made possible with their support and contribution. 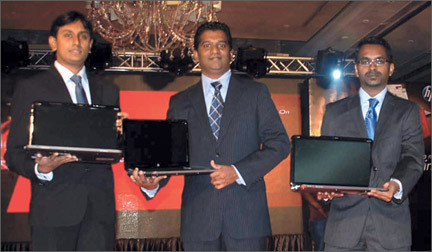 HP launched a redesigned consumer notebook PC portfolio that enhances the user experience with new sleek designs and the latest technologies at a ceremony recently. With updates across the HP Pavilion notebook PC line, the new notebooks are built on inspirations from culture, art, fashion and HP’s MUSE (Materials, Usability, Sensory appeal and Experience) design philosophy. MUSE includes a mix of materials such as metals, alloys and plastics; easy-to-use features for improved usability; a blend of artisanal elements for sensory appeal; and intuitive features for streamlined experiences. The new HP Pavilion dv Series notebook PCs include impressive features such as HP CoolSense Technology, HP TrueVision HD webcam and HP SimplePass security enhancements. Selected models of the HP Pavilion dv series, such as the HP Pavilion dv6 and dv7 with metal chassis, also feature BeatsTM Audio for a powerful audio experience for music enthusiasts. “HP’s new Pavilion DV Series come equipped with BeatsTM Audio and restores the emotion that is missing from digital music” said HP Personal Systems Group Country Business Manager Lackshmindra Fernando. The new HP Pavilion dv Series notebook PC line - HP Pavilion dv4, dv6 and dv7 - offers performance, entertainment and security features that work together to fit seamlessly into the lives of users. Perfect for entertainment addicts seeking a full PC performance, the HP Pavilion dv4 delivers the maximum visual euphoria with the latest and fastest graphic enhancement of up to 1GB GDDR5(3) of dedicated video memory, he said. Available in a variety of colours such as charcoal grey and sonoma red to fit any style or personality, the Pavilion g-series notebooks - the Pavilion g4 and g6 - offer full connectivity for surfing the Internet and connecting with friends. The notebooks also include a HD BrightView display, with Altec Lansing speakers and SRS Premium Audio for enjoying movies and music. PC House PLC has promoted key members of their staff as part of their reorganization plans to support the company's strategic vision to double its revenue next year. Driven by their philosophy that employees are the bedrock of their success, PCH continues to recruit, reward and competitively remunerate its staff to maintain its position as one of the leaders in ICT solutions. Over the past several years, PCH has been developing all its business enterprises to keep up with the fast paced industry growth. FY 2011/2012, in particular, has been dedicated to stabilizing the human resource force to meet the expected operational demands. Therefore, to be on par with its compete, the company has been strengthening its human resource force with high profile industry professionals and extensive training for existing employees. PCH Chairman S H M Rishan said, These individuals are well respected in their industries and we are fortunate to have been able to recruit them as members of our management team. Their appointments are the result of their extensive experience, the respect they earned from their colleagues, customers and partners, and the contributions they have made in their previous roles. With the company's rapid growth, the staff strength has also increased considerably. This growth has also created increased job opportunities for employees who seek a challenge in this burgeoning industry. PCH Group Human Resource Head Jude Fernando said, "One of our main objectives is to recruit and train our employees with core competencies to face industry challenges. From modern managerial skills that involve soft and technical skills, we will build the professionalism, expertise and dedi cation of these individuals to make PCH the market leader in the ICT sector. One of the many human resource success stories is the rise through the ranks of Regional and Retail Business Head Thufail Musadeen. Musadeen started off his career at PCH in 2000 as a computer operator and cashier and has, over the past decade, risen in the ranks from Sales Executive to head the entire regional and retail operation. PCH also made other significant promotions in their sales, marketing and operations divisions. These promotions come at a time when the company is making great strides in the industry. Over the past year, PCH has concluded a successful IPO, increased its regional and retail network to 36 island wide, and opened a new revolutionary concept store, the PCH 9 to 9 retails store. PC House was incorporated as a limited liability company in the year 2000, after having commenced business in 1997 and became PCH PLC. Its Board of Directors consists of S.H.M. Rishan, Mangala Boyagoda, Sarath Wikramanayake, Modarage Thilakasiri, Shanti Kumar Nadarajah, Kuvera de Zoysa and Sharmila Rishan. The first drive through donut cafe‚ by “Gonuts with donuts” was opened at Castle Street in Colombo 7 recently. This is one of the only three drives through donut stores in the ASEAN region. Gonuts with Donuts is said to be the very first exclusive donut cafe‚ to be opened in the country. In keeping with its focus, the donut outlets in Colombo and its suburbs extending to Battaramulla, Nugegoda and Dehiwala provide comprehensive delivery service to its customers. The drive through concept will provide an added level of convenience supplementing the company’s fast and efficient delivery service. The opening of the drive through is part of a bigger move by the company to consolidate production and supply by changing the business model to a delivery and drive through only operation. “With our strong footprint in the food services industry, quality of product is a primary goal for us. As such the decision to change the business model was driven by this. We are now in a position to deliver donuts - oven fresh to our customers ensuring nothing less than the perfect donut every time”, Gonuts with Donuts Founder and CEO Lalin Jinasena said. The winners of the Mobitel Double Bonanza draw for April 2011 received their prizes at a gala ceremony held at the Mobitel Engineering Office in Welikada recently. The competition which drew winners for 18th consecutive month since its unveiling in October 2009 is the pioneer sweepstake scheme within the telecommunication category in the country to offer valuable motor cars as prizes for post-paid and pre-users. The winners of the Double Bonanza draw were rewarded in the presence of Ernst and Young, the external auditors of Mobitel. Upon the completion of two successful years, the SMART Recharge Bonanza entered its third year with the introduction of the Mobitel Double Bonanza. The Mobitel Double Bonanza will comprise 24 Suzuki Maruti Alto K10 cars to be won monthly and 105 Asus Laptops with 3.5 G high speed internet dongles to be won weekly throughout 2011. With the success of the SMART Recharge Bonanza for pre-paid customers, the scheme has now been opened to post-paid and broadband customers including pre-paid customers of Mobitel family until December 2011. Keells Super outlet at Rajagiriya. The modern trade has recorded a double digit growth and it has become a significant part of the total trade where 15 percent stake comprises modern trade. A similar trend continues at the Keells Super outlets where it records 15 percent growth in keeping with sectorial growth, John Keells Holdings PLC Executive Vice President and Retail Sector Head Roshanie Jayasundera Moraes said. The post war positive development has encouraged modern trade and Keells Super will cater to the changing needs of lifestyles and environment by locating outlets at selective places, she said. 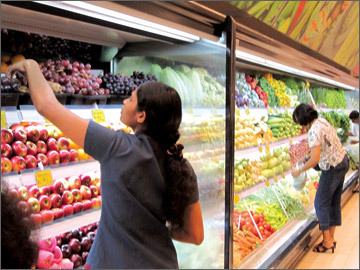 The latest addition to the 48 Keells Super stores was the Rajagiriya outlet with more than 13,000 square feet area and ample parking facilities. It will house a wide range of different products from fresh produce - vegetables, fruits, sea food and meat to groceries and household products for the entire family. The outlet has its own bakery that produce a range of breads, savouries to sweet treats such as dougnuts, muffins, and cookies to a variety of delicious cakes. There is also a hot kitchen where one can purchase fresh food from different set menus. “This is the first Keells Super store to introduce a hot kitchen to cater to the needs of busy customers by providing delicious warm meals which are value for money”, she said. There is a children’s play area inside the store where parents can shop while their children are being entertained.